Storage space for up to 30 rigs of a (max) 23cm/9.2" length. 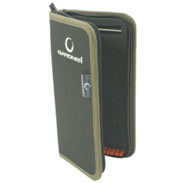 Designed wallet for the safe storage of up to 20 rigs up to 10.5 inches (26cm) in length. Stainless steel wire set into black rig foam board. Stiff casing ensures reliable protection. 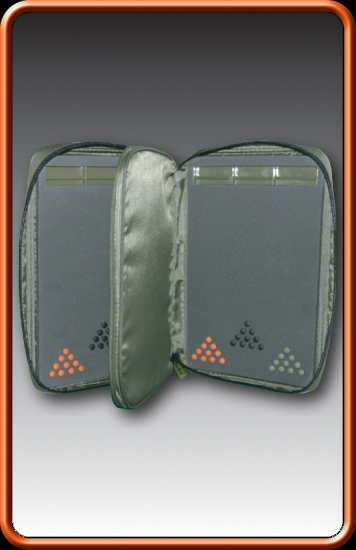 Designed wallet for the safe storage of up to 20 rigs up to 12 inches (30cm) in length. 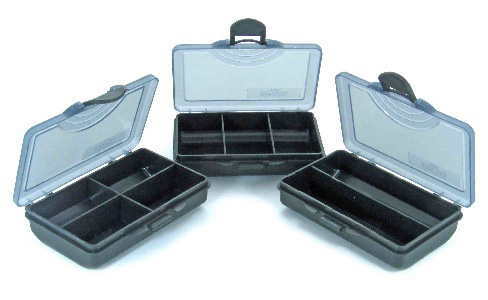 These small tackle trays are designed to hold small accessories such as hooks and swivels. The trays have a see through lid and a secure closing latch. 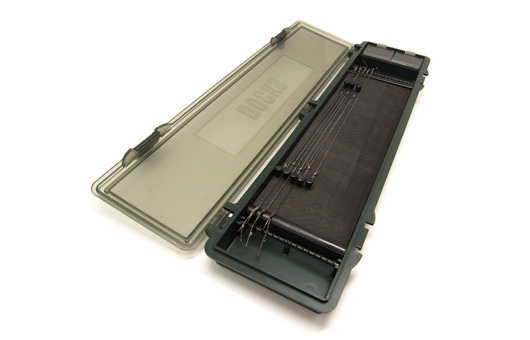 E-S-P Slimline Rig Wallet can accommodate up to 30 rigs on two foam boards separated by a padded divider. Hooks are held on a purpose moulded bar and Includes 30 low profile ESP pins. Slimline design for easy storage. Twin foam boards with padded central divider. Stores up to 60 rigs of a maximum 26.5cm (10.5") length. The innovative new Rigid Rig Case has caused quite a stir since its release with thousands of anglers loving its unique design. From the outside this may look similar to other rig storage devices, however, once you open it you will find that it has the capacity to store nearly twice as many rigs compared to items of similar proportions! Click here for more information and a video on this product. 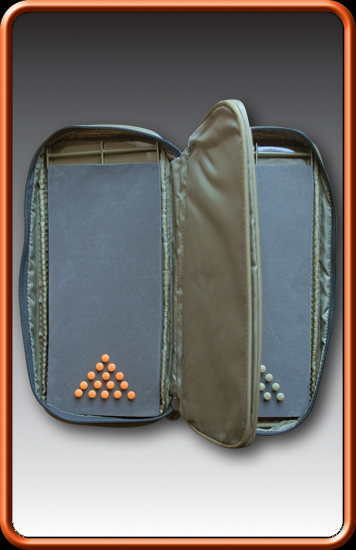 A Purpose designed rig storage pouch for keeping your pre-tied rigs straight and hook point in pristine condition. Ideal for storing your terminal tackle.